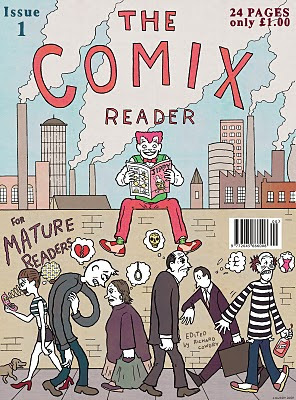 I contributed a one page comic to the first issue of the Comix Reader which was edited by Richard Cowdry. I am selling copies as well. Only £1 for 24 pages. It's tabloid-sized and printed on newprint.